Crystal candles - KRAB BRNO, s.r.o. The so-called palm stearin is used for production of crystal candles. 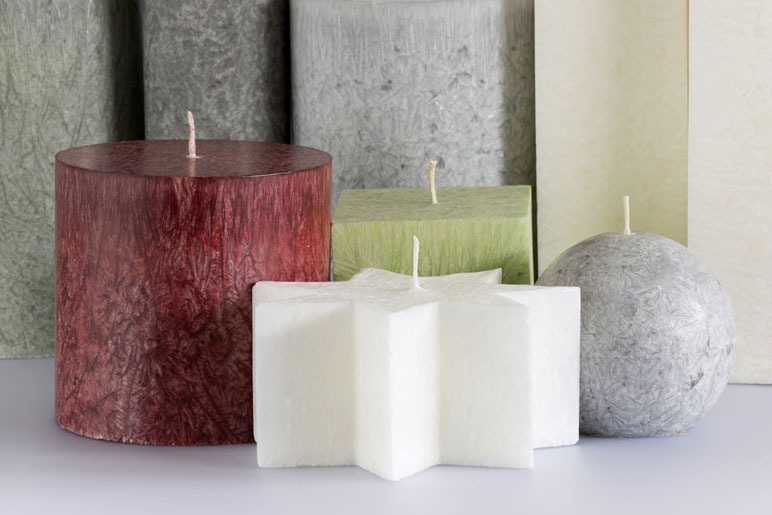 It has the ability to create a crystalline lattice that creates an interesting texture on the surface of the candles. This is production according to individual orders.